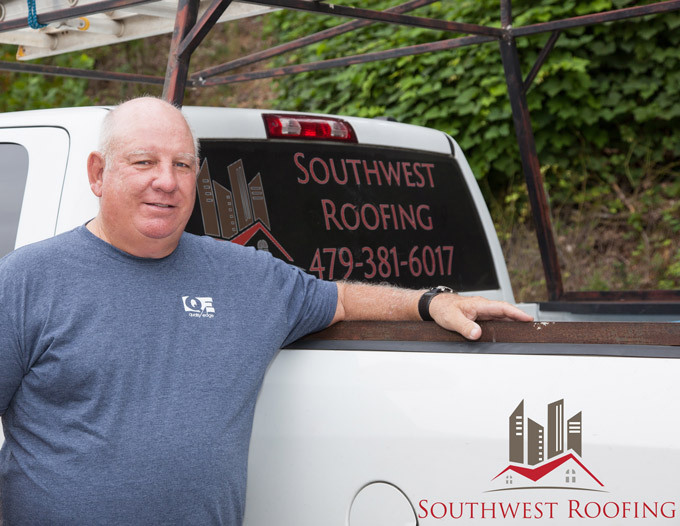 Larry Lewsader has owned and operated Southwest Roofing NWA for 20 years. He and his team have replaced every kind of roof imaginable, and have immense knowledge about roofing. 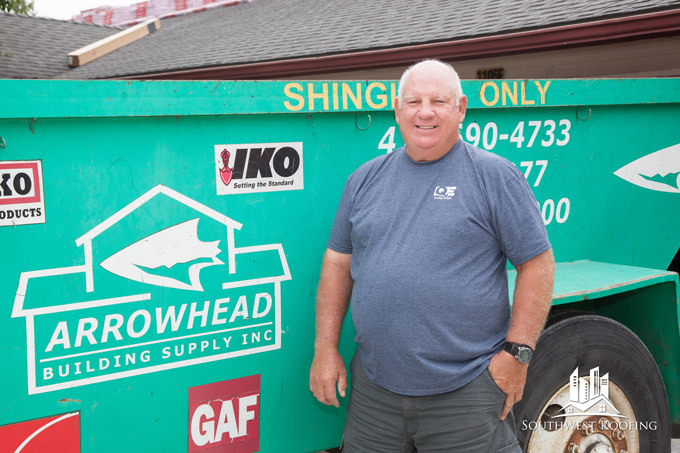 Sustainability is very important to Southwest Roofing NWA, and that is why they only purchases their roofing materials from Arrowhead Building Supply. They are the only supplier in Arkansas that recycles old shingles, grinding them up to become new shingles or asphalt. You can feel good about doing good for the planet while keeping your property clean when you choose Southwest Roofing NWA to repair or replace your shingle roof. To provide Northwest Arkansas homeowners with a pleasant experience with their roofing needs. To do the job correctly and in a timely matter, and to meet your expectations. We strive to satisfy the homeowner with honest, quality work by responding quickly to customer requests, listening to clients needs and helping where needed. We have the necessary experience to provide quality workmanship and the connections to provide fair pricing. Being on time is how we show you respect, and we promise to always do our best.